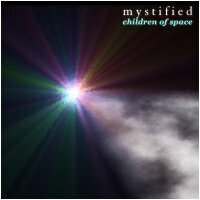 Children of Space, by prolific electronic music maestro Thomas Park, aka mystified, reflects in some ways a return to more ambient material by the artist. Having crafted several ambient works in the years of 2003 through 2006, Thomas took some time away from the genre, working on noise and drone music. However, he grew to miss smoother, quieter sounds, and found himself back on the ambient track in early 2008. Which is not to say that Children of Space is just like all ambient. It does tend towards the dark, minimal side of the genre, and its trance-inducing aspects outweigh its melodic or space-musicky traits. If you like dark, fluid, hypnotic sounds this project is bound to appeal. The pinnacle... Thomas can hardly do wrong with me. But here, he's gone the extra mile! 1000 miles if you like. This is tear-jerking, excruciatingly beautiful stuff! To be frank: I'm jealous we didn't get to release this. Summing up: this is really the pinnacle of the overly disabused ambient-drone genre. Very well done indeed!